Weekly Update 2016-26: A Parisian music producer provides the tunes as we explore the usability of a mermaid toilet flush handle and the lovely expressive design work of Teresa Wozniak. Finally, a producer/DJ not from Australia is featured on my blog! Khamsin hails from Paris, and has some pretty kickass remixes as well as original tracks. One thing he does really well is stay true to the original songs he remixes, while applying his own spin at the same time. It's like meeting someone for the first time, but feeling immediately like you already have lots in common. This mix was the first thing I heard by him, and has a lot of his original music mixed in with the likes of Gorillaz, Lorde, Flume, Justin Timberlake, and more. Check it out. I finally got around to some more Arduino tinkering last week – mostly because my very generous friend gave me a box full of Arduino stuff (bittersweet since he's getting rid of stuff as he prepares to move to the States). Servo motors, connector cables, breadboards, and even a soldering iron?! Whatever shall I make! I also feel like I really soaked in the culture this past weekend: two arts markets, dinner at Hanmoto (finally – and yes it was so delicious), Kensington Pedestrian Sunday, and the inaugural Christie Pits film in the park – which I've been waiting for since I moved to the neighbourhood. I like to think that each weekend, I'm checking more and more things off my Toronto Bingo list. The grand prize: calling myself a true Torontonian. And lastly, I had the true pleasure of making the logo for my company's softball team. Pretty proud of this one, considering I don't know anything about Drake. But we're gonna look FLY. More Arduino stuff this week. I'd like to figure out exactly what I need to buy to make the ping pong table project a reality, and possibly get the project as far along as I can before I make any more purchases...as I might ask my company to sponsor the project. Gotta make it look legit first! I'm also hoping to take my bike out on a more lengthy trip this long weekend – to the Toronto Island! Yep, on the ferry and err'thang. I am super ashamed of my break from the weekly China trip posts, so one will be coming out tomorrow. Hopefully another one later this week as well. And lastly, as I've been feeling rather unmotivated and lazy lately, I'm going to make a Trello board of all of my personal projects, including subtasks (and maybe even costing them?) so that I can start with some smaller stuff and feel motivated to tackle the bigger things. As we say at planning meetings at work, if there are too many unknowns and the project seems impossible to tackle (as all of my projects do right now), simply break it down until each piece feels manageable on its own. Now, it's time to practice what I preach! 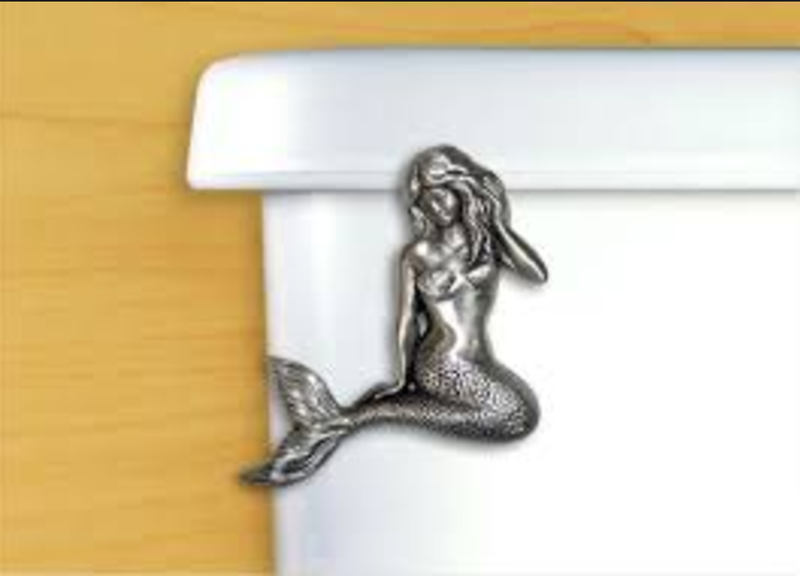 I was on Buzzfeed late last night – which is usually a terrible idea, but this mermaid toilet handle sparked my interest. I was thinking about how even though this is a really nice handle, would it be pleasant to use from a user experience standpoint? And would the detailing be a trap for the germs that live in and around a toilet? Why is it on the left if most people are right-handed? 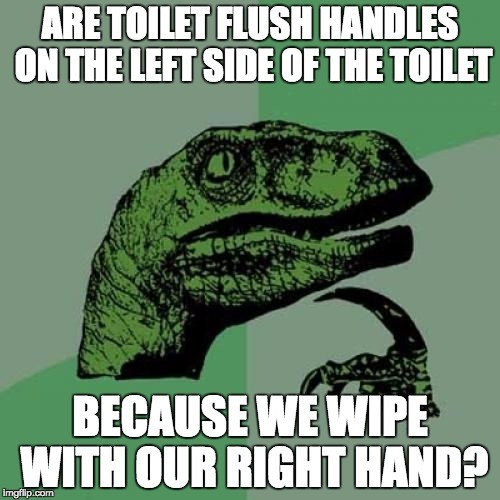 Oh, probably because most handles are on the left of the toilet. But why? Then I had a revelation: Are toilet handles on the left in an effort to keep them cleaner because most people wipe with their right hand? I doubt this will go viral but it matters to me! Check out more on her website, Instagram, and Dribbble.